Most people who cut the cord do it by canceling cable TV and using their existing internet subscription. They’re paying for services like Netflix and Hulu already so they are bound to save money. But is that really cutting the cord, or just trading one bill for another? And as much as I like live streaming services like DIRECTV NOW and Sling TV, are they really cutting the cord? In those two cases, you’re paying a satellite TV company to provide you with live entertainment. There’s a difference in technology but you’re still paying the same people (potentially you’re paying them less.) Is that really cutting the cord? If you really want to stick it to the man, you can do it. 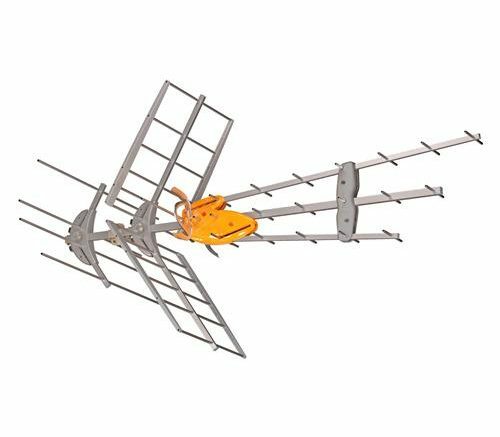 You can get dozens of channels for free by putting up a TV antenna. That’s “real” cordcutting. If you want a few cable shows here or there, buy them on iTunes or Google Play or whatever, or choose a service like Hulu or Amazon Video. But if you really want to leave the big, bad cable companies behind, you need to get your entertainment straight from the source. Cable companies pay for the same channels you get for free, mark them up and sell them back to you. That doesn’t seem really fair, does it? Live TV from an over-the-air antenna has the best possible quality and actually comes to your house a few seconds before it comes through cable TV. So if you’re watching live sports, you’ll see the play before anyone else! There are plenty of options for pausing live TV and recording the things you want as well, so you don’t have to leave that behind. Real cord-cutters know that the value you get from using an antenna just doesn’t stop. Antennas aren’t prone to break as often as cable lines, and when something does break you don’t have to wait days for a repairperson. Antenna TV has lots more channels that the cable companies don’t carry, and around 90% of people can get the channels they want with an antenna. When the cable company fights with a local TV provider, they black out the signal on cable, but it keeps on going strong through that antenna of yours. If you don’t know where to start in your search for an antenna, get a free recommendation from the professionals at Solid Signal, or give a call to 877.312.4547 during business hours and we’ll get a professional on the phone to help you! We can recommend all the equipment you’ll need, get a custom package sent to your home, and then with a little bit of elbow grease, you’ll be able to tell those cable people to “stick it” and still enjoy ALL the local channels you want, not just the ones carried by DIRECTV NOW, Sling TV, or other streaming providers. Think about it… cutting the cord means CUTTING THE CORD. Why pay the same people for something you can get for free? 2017/18 TV: How did we do?